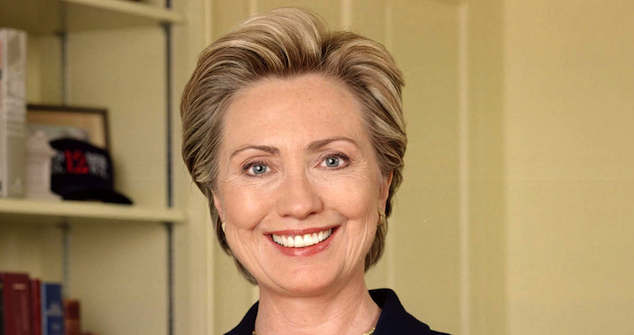 After at least two years of speculation, Hillary Rodham Clinton has announced she will run for president in the 2016 elections. Mrs Clinton’s initial campaign message says little on the substance of her policies and the issues to be focused upon. But it is already very different from her 2008 campaign, in which she was defeated in the primaries by Barack Obama. This initial announcement provides insight into her campaign’s agenda to use social media and technology to gain an advantage over her potential Republican competitors – and it’s off to a great start. Republican Senators Rand Paul (Kentucky) and Ted Cruz (Texas), who have also officially entered the race, have not enjoyed nearly half of the social media response as Clinton did in the first 24 hours of campaign announcement. An analysis provided by the Huffington Post calculated that Clinton’s tweet was seen 3 million times within an hour of being posted, received over 100,000 retweets and nearly as many favourites. Within half an hour of the announcement, Twitter mentions of Clinton reached a peak of 7,000 tweets per minute. On Twitter, she is by far the most popular candidate with over 3.3 million followers, compared with Paul’s 595,000 followers and Cruz’s 393,000. In addition to her social media advantage, Hillary Rodham Clinton has the majority support of the Democratic Party behind her, with no competition to date for the primary elections. Although many may see this as a disadvantage for most candidates later on in the race, Clinton is protected by experience. The 2008 Democratic primary was as intense and as long as most general election campaigns. Her experience as first lady and secretary of state gives her additional national and international political experience over her Republican competitors. Hillary Rodham Clinton has nearly 100 per cent name recognition, as well as a built-in base of support among working-class women. It is likely that the Republicans will face a brutal primary season in which they may be forced to the right on issues like immigration and education. This could encourage independents to vote for Clinton in a general election. But demographics are the biggest obstacle for Republicans and the strongest advantage for Clinton. Unless the Republicans can win over Hispanics, appeal to women and not alienate supporters of progressive issues such as gay rights, Clinton starts with a significant edge thanks to population changes nationally and in the ‘swing states’. Clinton should also enjoy an enormous financial advantage in a campaign that is expected to cost her $2.5 billion with the help of “super PAC” (political action committees) and nearly universal support within the Democratic establishment. In recent years, the rise of inequality in the US has become impossible to ignore and Clinton’s campaign will benefit as it resonates with many voters and politicians. However, she is very likely to face criticism on the campaign road. These could range from controversies about her husband and family – the Lewinsky scandal, the Clinton Foundation or the controversy over her private email account – to following through with campaign agendas, despite large campaign financing from private, wealthy contributors. It is argued, however, that Clinton will be able to survive, with the expected unified support of the Democratic Party behind her as perhaps the sole candidate. Ashley Rogge is an intern at the AIIA National Office and is originally from Texas, USA. She has a Master’s Degree in International Affairs from the Australian National University and a Bachelor’s Degree in Anthropology from Cornell University. This article can be republished with attribution under a Creative Commons Licence.